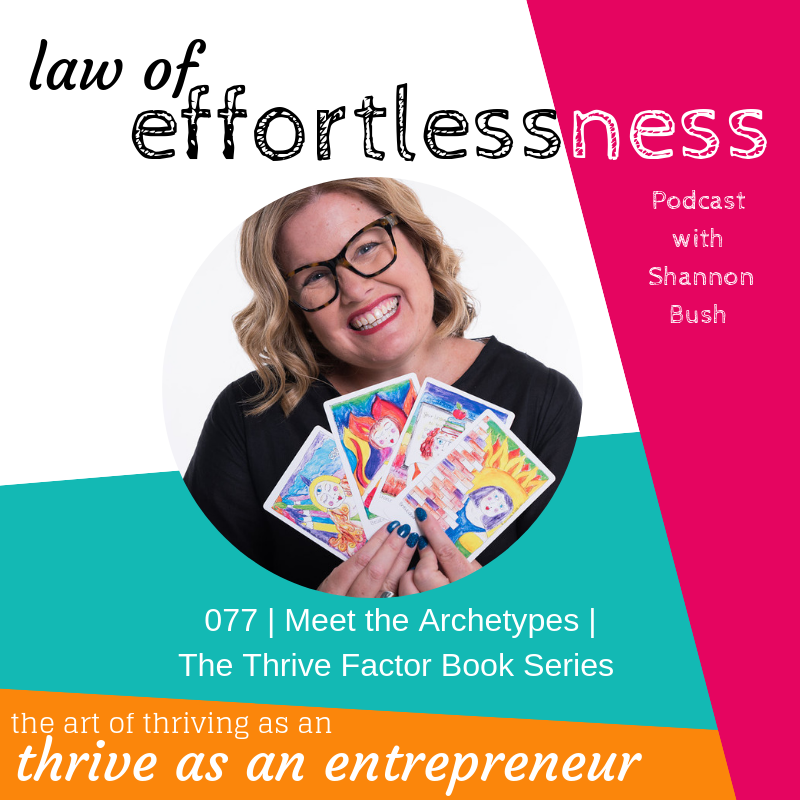 Welcome to episode 074 of the Law of Effortlessness Podcast with #businessyoda Shannon Bush and recovering perfectionist Bronwen Sciortino! 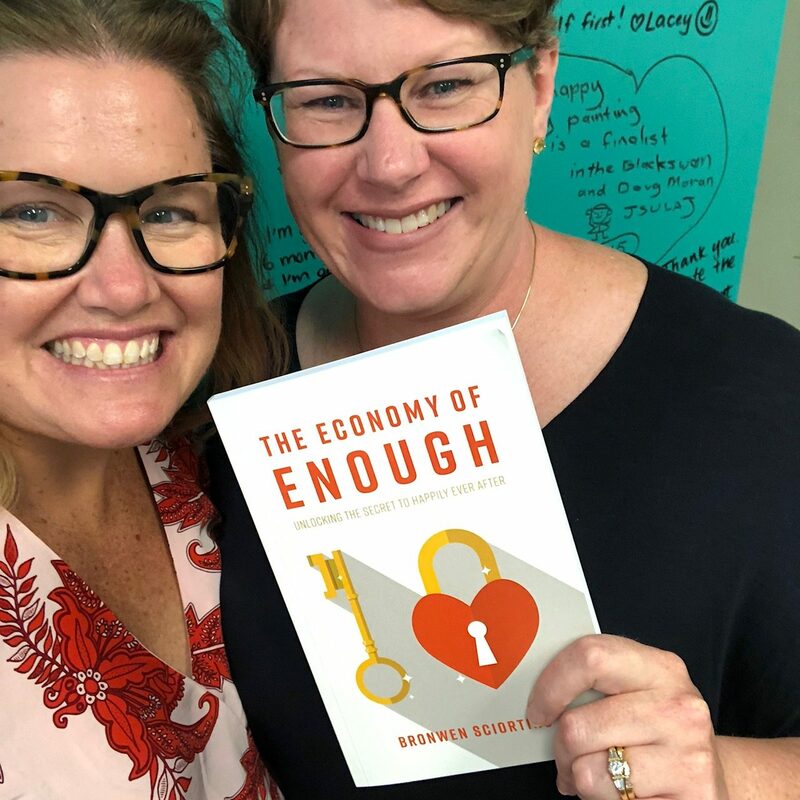 Bronwen spends every day teaching people there are other ways to live so they can reduce stress, build resilience and easily make changes in their everyday lives – building to a more meaningful life and improved mental and physical health and wellbeing. 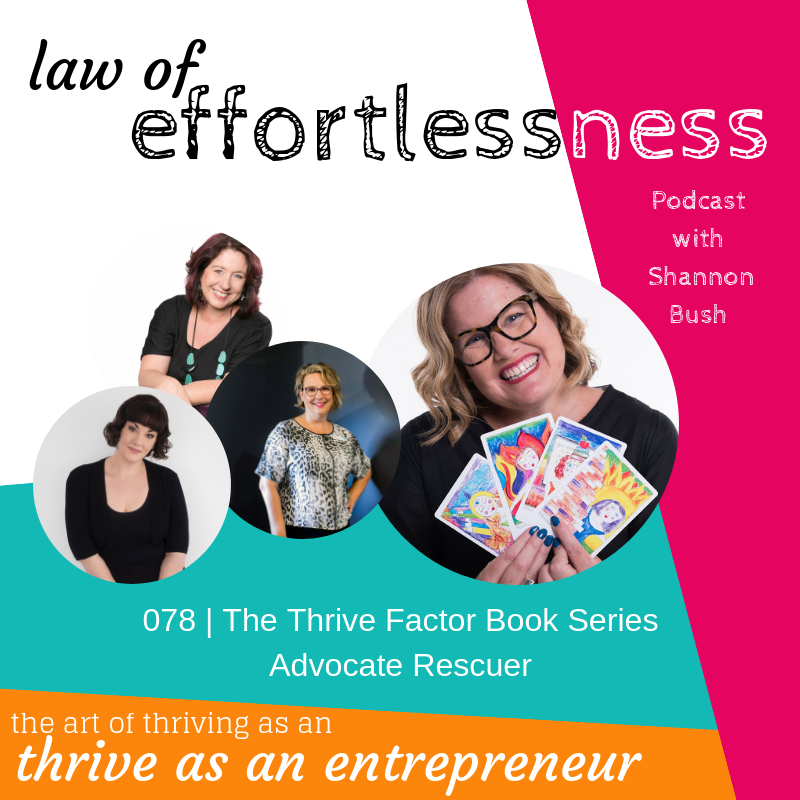 Bronwen blogs regularly for global platforms, and has been featured in ‘The Book of Amazing People’, ‘Reboot Your Life – Phoenix Edition’, and ‘Successful Women in Business – Winners Edition’. 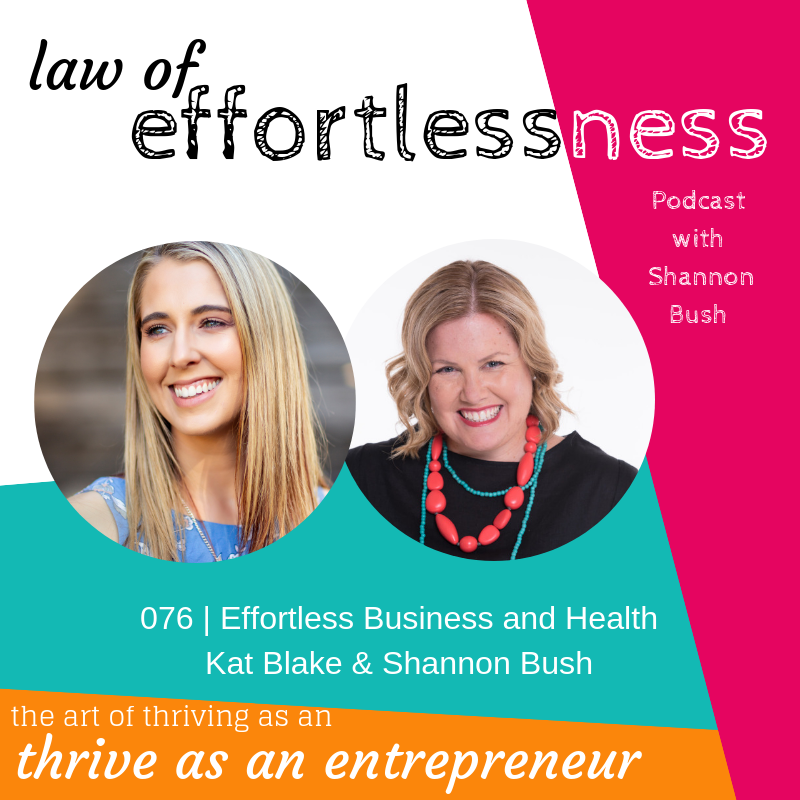 She is regularly invited as a guest interviewee on blogs, podcasts, radio, Facebook Live, YouTube and member sites situated throughout the world. 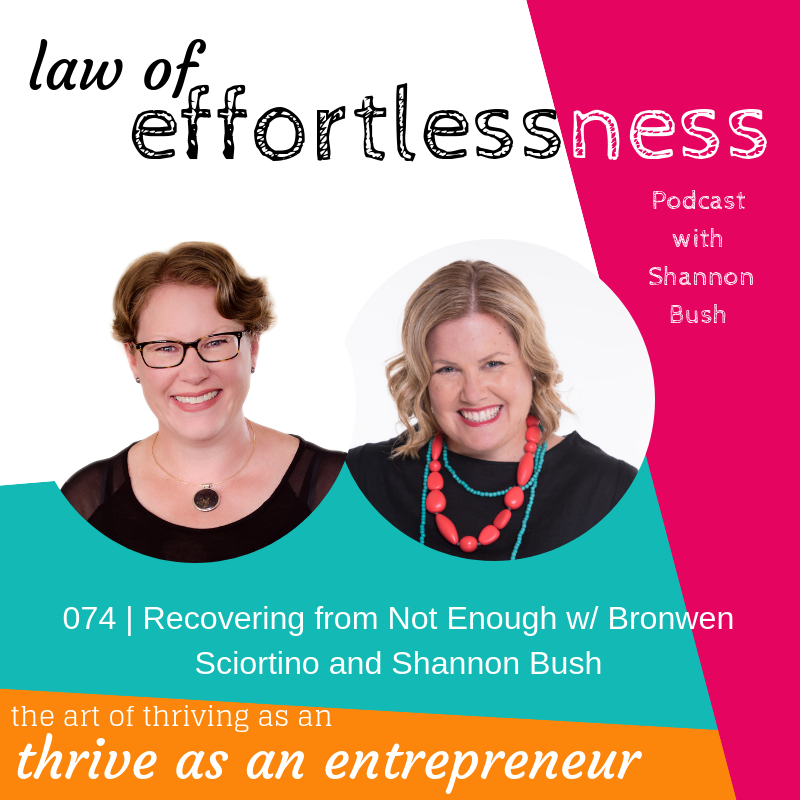 Tune into this episode to hear how Bronwen began the process of recovery from “Not Enough” – you’ll hear how for four years she woke every day, exhausted and losing the dexterity in her hands to the extent she couldn’t hold a glass – and the incredibly powerful moments that changed her life and now have her sharing these insights, globally – and knowing and believing in her wholeness, that she is enough. 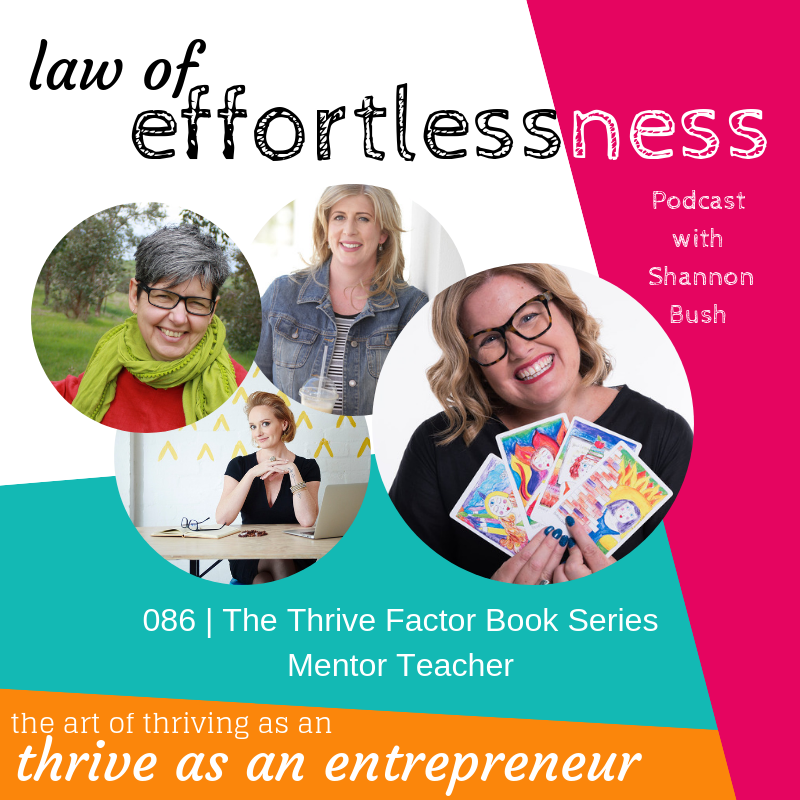 Shannon and Bronwen have a candid discussion on the idea of “Not Enough” including how it shows up in self-talk, and the sometimes shocking way we can unconsciously refer to ourselves – and of course, the small but practical ways we can take steps to begin the process of change. 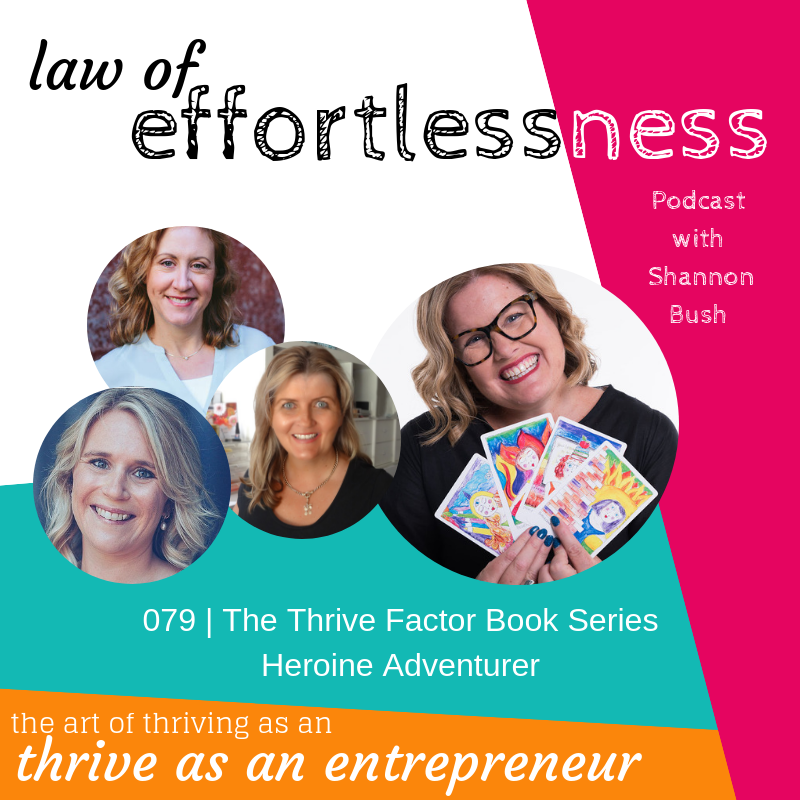 You’ll also hear about the heartwarming, and heartbreaking process of writing her books and a lively chat on why we need to stop following prescription self-help that doesn’t work, and learning who we are, and what works for us. 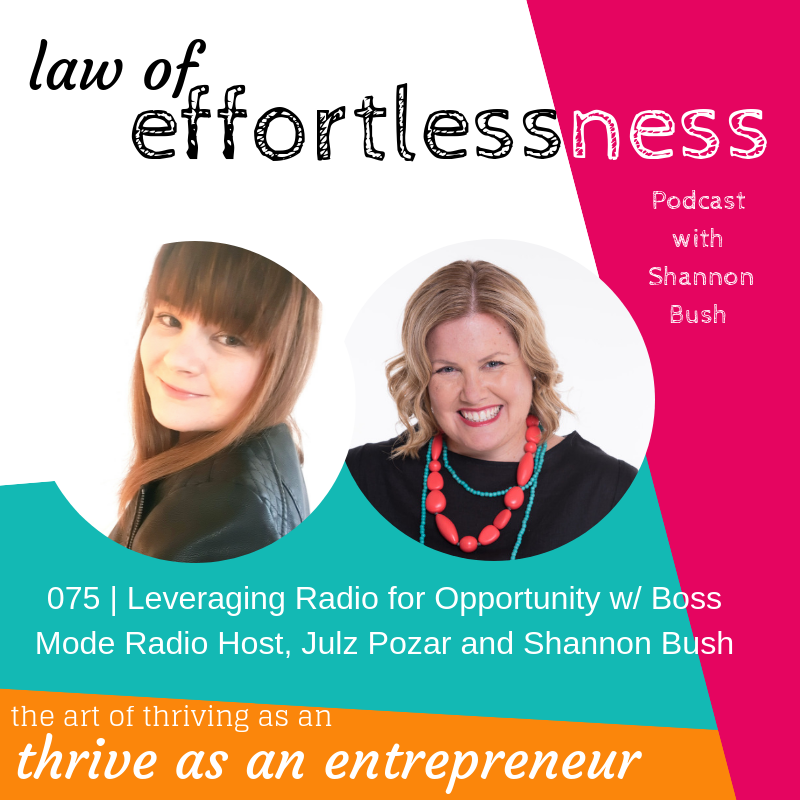 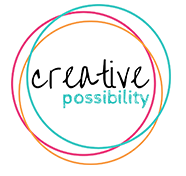 Stay tuned to the end to hear about a special give away for Thriving Entrepreneur Circle members! 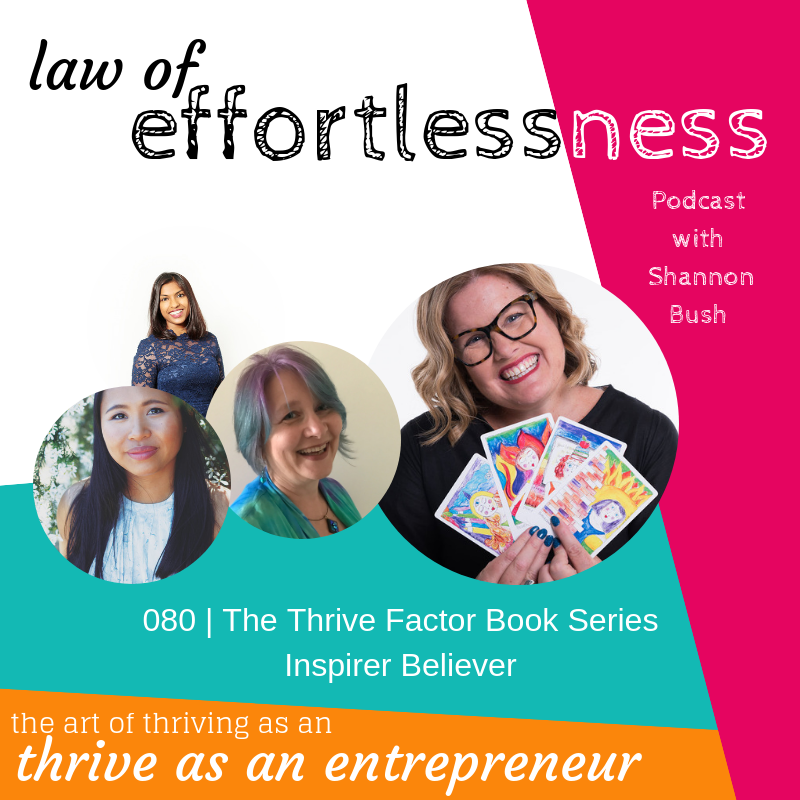 This entry was posted in Articles, Business Wisdom, LOE Podcast, Mindset and tagged Author, Bronwen Sciortino, Business, Business Coach, LOE podcast, marketing, Marketing Coach, marketing coach perth, Perth, podcast, self value, self-belief, Shannon Bush, The Economy Of Enough, The Thrive Factor, Thrive Factor Book on January 10, 2019 by Ashleigh Rae.